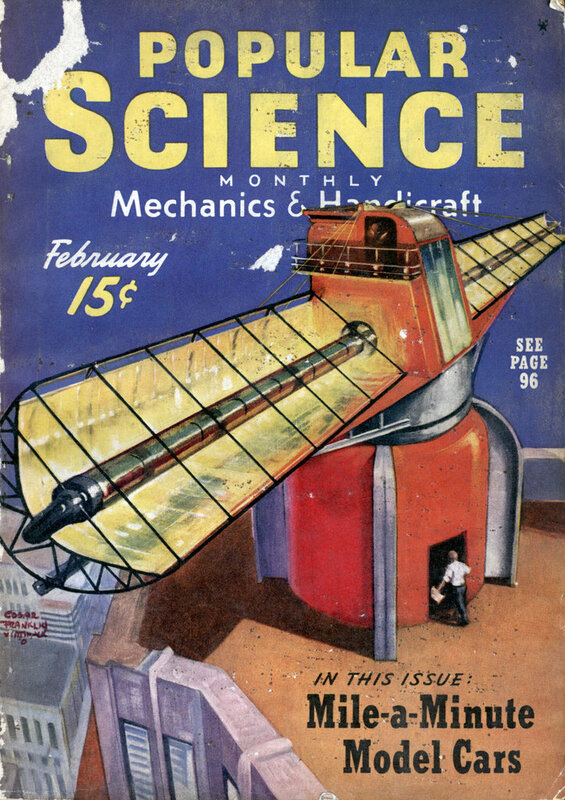 Mechanized Armies Make Oil Supply Vital,” “Shortage of Fats Imperils Nation at War”â€”headlines like these spotlight what used to be routine items in a country’s shopping list, and give them new interest for home-laboratory experimenters. 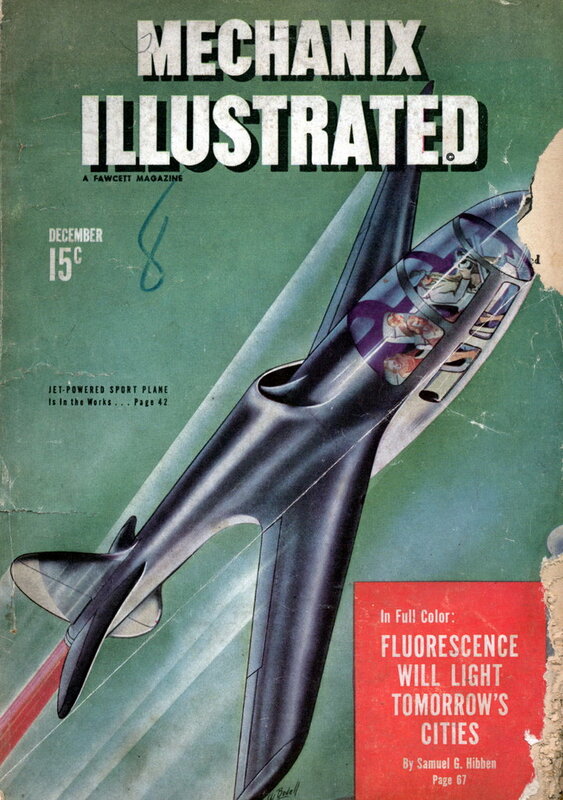 Envious eyes the world over turn toward our vast forests of oil derricks, and the rivers of crude oil that refineries turn into gasoline for vehicles of war and peace. 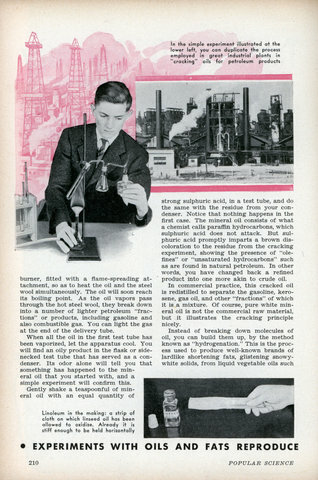 What makes their enormous production possible is the modern “cracking” process for extracting gasoline. 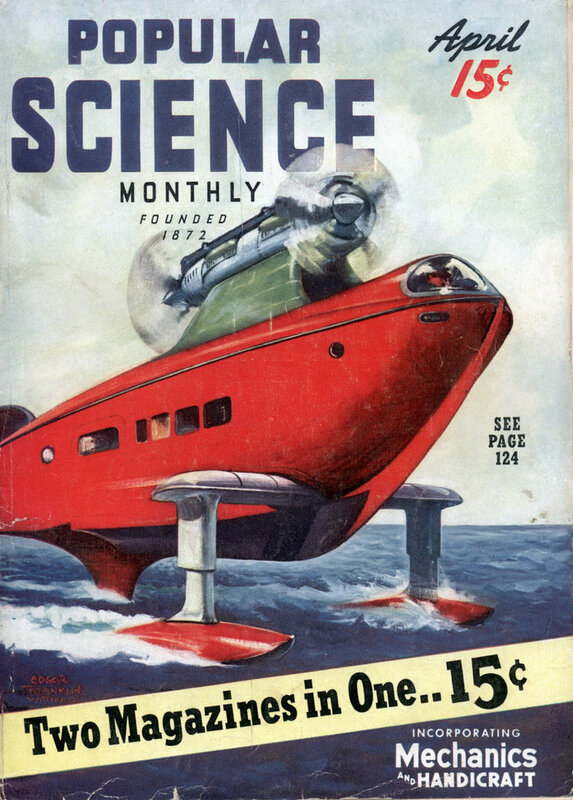 Once the crude oil was simply distilled to separate, in turn, the gasoline and other substances it contained. 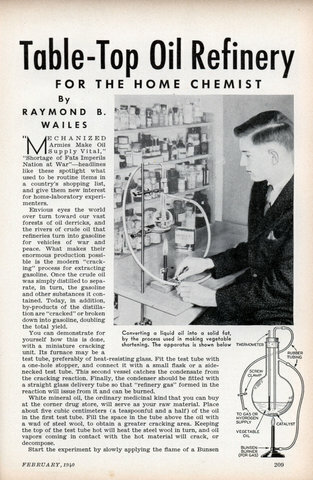 Today, in addition, by-products of the distillation are “cracked” or broken down into gasoline, doubling the total yield. 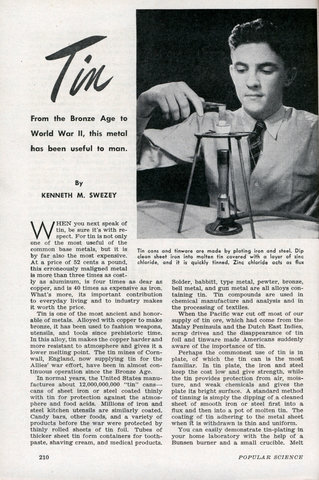 From the Bronze Age to World War II, this metal has been useful to man. WHEN you next speak of tin, be sure it’s with respect. For tin is not only one of the most useful of the common base metals, but it is by far also the most expensive. 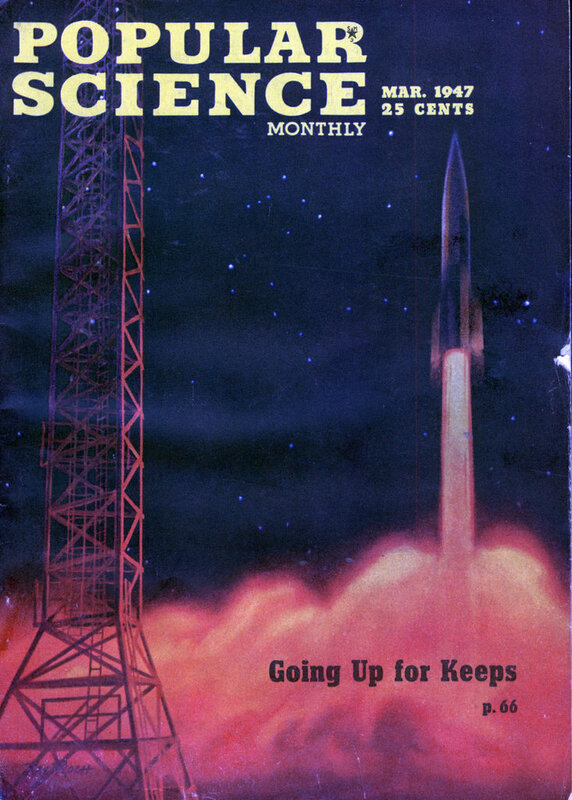 At a price of 52 cents a pound, this erroneously maligned metal is more than three times as costly as aluminum, is four times as dear as copper, and is 40 times as expensive as iron. What’s more, its important contribution to everyday living and to industry makes it worth the price. Tin is one of the most ancient and honorable of metals. Alloyed with copper to make bronze, it has been used to fashion weapons, utensils, and tools since prehistoric time. In this alloy, tin makes the copper harder and more resistant to atmosphere and gives it a lower melting point. The tin mines of Cornwall, England, now supplying tin for the Allies’ war effort, have been in almost continuous operation since the Bronze Age. 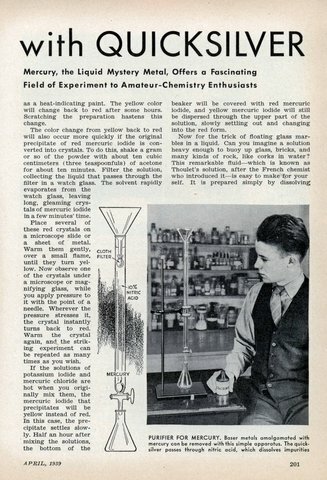 In the 1940’s practically every issue of Popular Science had a detailed chemistry article with experiments for teens to perform. I’m going to begin posting them in the new Chemistry category. 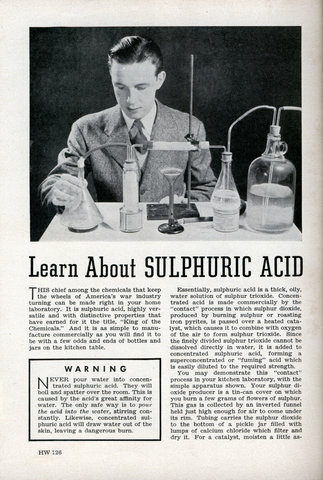 NEVER pour water into concentrated sulphuric acid. They will boil and spatter over the room. This is caused by the acid’s great affinity for water. The only safe way is to pour the acid into the water, stirring constantly. 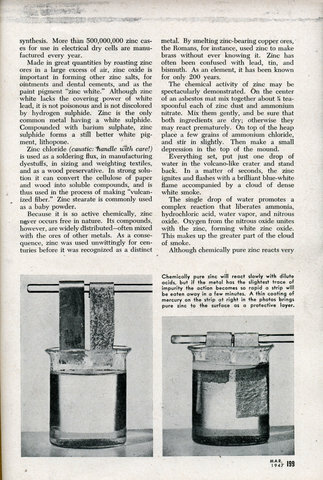 Likewise, concentrated sulphuric acid will draw water out of the skin, leaving a dangerous burn. 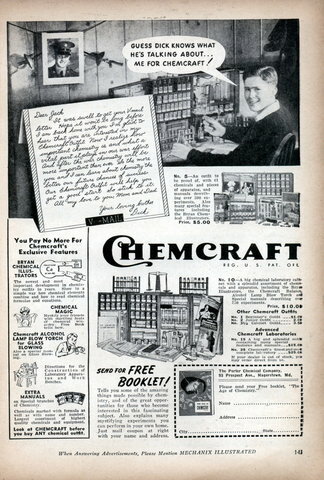 The basic message of the letter to all the readers of the magazine is: buy a Chemcraft outfit or your big brother will be killed by Japs and Nazis. 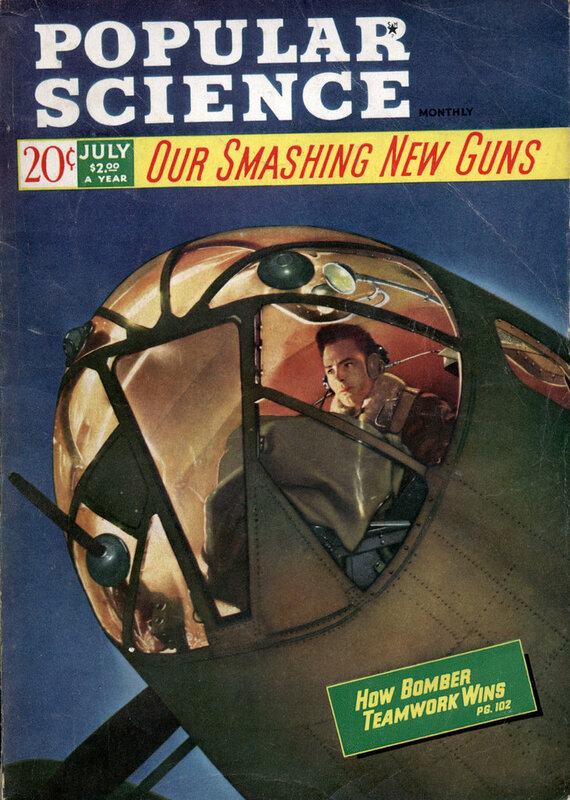 Also, it will help you find a job after the war. 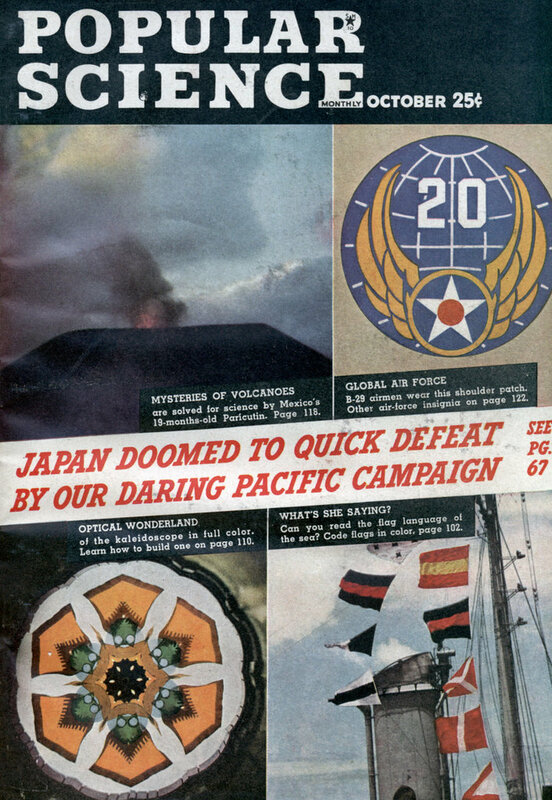 It was swell to get your V-mail letter. Hope it won’t be long before I am back home with you. I’m glad to hear that you are interested in my Chemcraft Outfit. 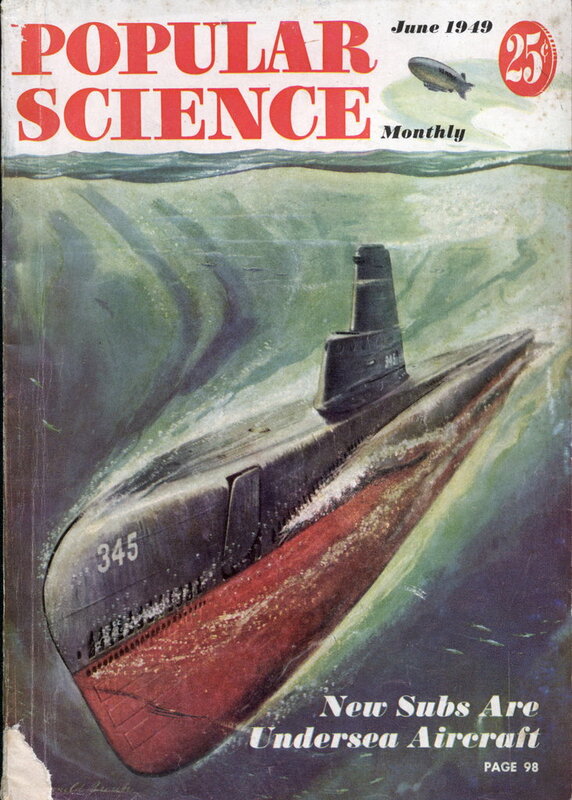 Now I realize how important chemistry is and what a vital part it plays in our war effort. And after the war chemistry will be more important than ever. So the more you and I can learn about chemistry the better our future chances of success. 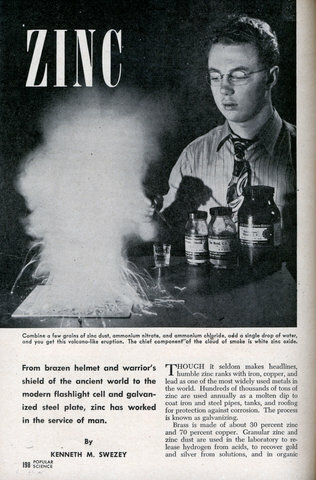 Our Chemcraft Outfit will help you get a good start. So stick to it. All my love to you, Mom and Dad. 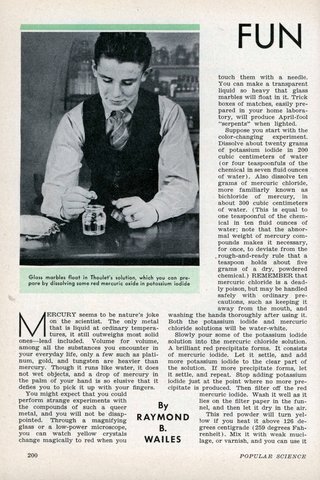 Last week we had an article on how to make Nitrous Oxide, today we have fun experiments you can do with mercury, a poison. Mercury is considered toxic enough that when it is spilled in schools they are routinely closed and decontaminated. 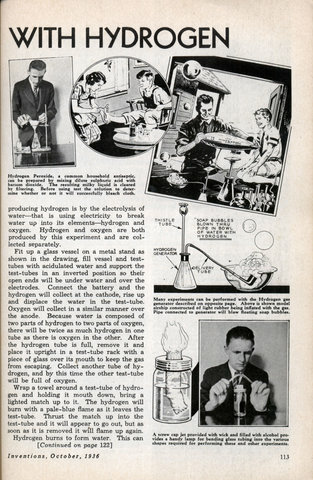 The article does point out that it is a poison and should be handled with care, then goes on to explain how to build a little straw-device for picking up stray globs of mercury. 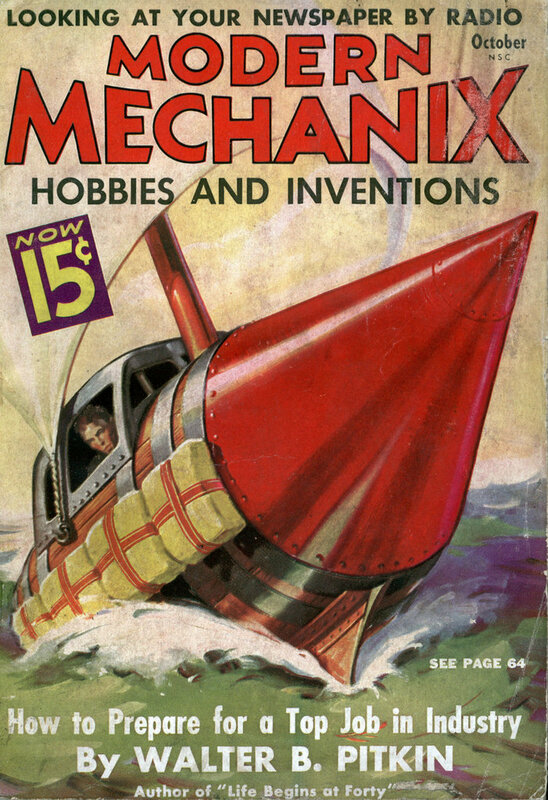 While this device does prevent you from sucking up mercury, it does nothing about the fumes. Just to be clear: Mercury is a poison, it can cause neruological damage, it can give you cancer, it can kill you. Do not do any of these experiments. MERCURY seems to be nature’s joke on the scientist. The only metal that is liquid at ordinary temperaatures, it still outweighs most solid ones-lead included. 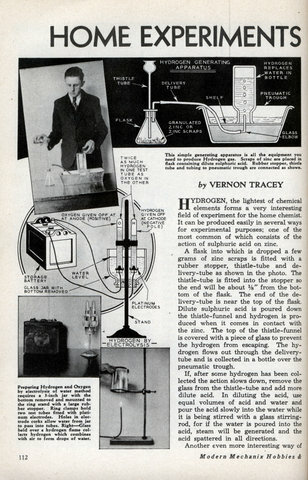 Volume for volume, among all the substances you encounter in your everyday life, only a few such as platiinum, “gold, and tungsten are heavier than mercury. Though it runs like water, it does not wet objects, and a drop of mercury in the palm of your hand is so elusive that it defies you to pick it up with your fingers. 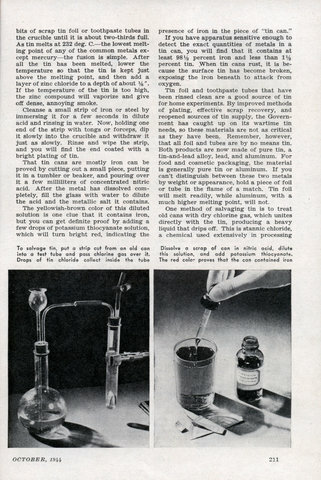 This is a Popular Science article from 1949 which teaches budding young chemists how to make nitrous oxide. 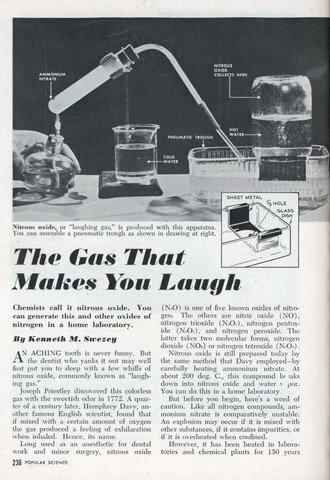 It even helpfully explains that the gas produces “a feeling of exhilaration when inhaled”. The crystal which eliminates the need for sleep. The dust that lets you lift a car. The weed that makes you feed. Chemists call it nitrous oxide. You can generate this and other oxides of nitrogen in a home laboratory.